Watch full Ginga Eiyuu Densetsu Season 2 Episode 1 English Subbed full HD online. Ginga Eiyuu Densetsu Episode 27 English Subbed online for free in HD. First Battle. January 1, 798 S.C. / 489 I.C. 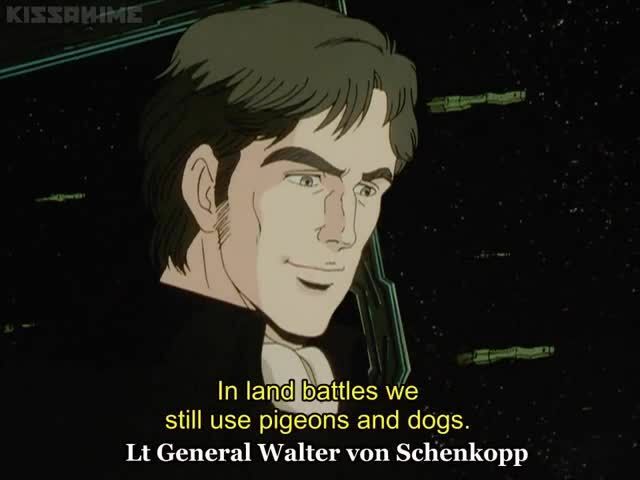 : Reinhard von Lohengramm is now Premier and Commander-in-chief of the imperial military. He implements many reforms for the welfare of the people. Meanwhile, a training sortie, under Dusty Attenborough’s command, turns out to be Julian Minci’s first battle as a fighter pilot. The Attenborough Fleet is on the verge to be crushed, but Yang Wen-li, with the help of Admiral Merkatz, goes out of Iserlohn with the whole fleet and saves the day (January, 16).